From specialty diet food to squeaky toys to comfy beds, the amazing pet stores of Indiana will help your pet live more comfortably. It doesn’t matter if you have a Great Dane or a parakeet, there’s something at these awesome stores for your little furry or feathered companion! Here are our favorites. Art in Motion started with a seminar on saving money on taxes in 1991. Owners Mike and Melissa decided to start a small business to get a better tax return, but little did they know at the time that it would turn into something much bigger. Mike thought leasing aquariums in his spare time, in addition to the enjoying the large 110-gallon one in his office, would be a great idea. Thus, the name “Art in Motion.” In addition to carrying aquariums and other fish related products, Art in Motion also has a large variety of dog, cat, reptile, small animal and bird supplies. The store also offers grooming as well! The mission of Paws Stop pet store in Indianapolis is to enhance the lives of family pets and those that love them by offering health and nutritional expertise, as well as supporting causes to improve the lives of furry four legged animals who hope to become beloved pet family members. They offer the largest variety of holistic, natural, organic, grain free and raw pet foods to fit every dietary need, and their employees are more than willing to help pet owners discover just what exactly it is that they are feeding their pets. Paws and Claws and Company in northern Warsaw, Indiana, is everyone’s neighborhood pet store. The staff is friendly, welcoming, and knowledgeable in high-quality pet care. Whether you have a dog, cat, tropical fish, birds or other small furry creatures, Paws and Claws has all your pet care needs. Perfect Pet Food was founded on natural, holistic brands and multi-protein based foods. Former owner Jon Zezulak made it his mission to greet each customer with “Tell me about your pet” and “I can help with that issue.” John offered permanent solutions to every day issues that were frustrating to pet owners, and made it his mission to learn about healthier pet foods. In addition to providing quality, all natural food, Perfect Pet also offers a wide variety of training programs: specialty training (personal protection, therapy and handicap assistance), obedience, puppy training and behavior modification. Martin’s is a one of a kind establishment in that not only do they have grocery stores, flower markets, fuel centers, car washes, and pharmacies, but they also have a pet store! They carry lines of premium pet food including Science Diet, Eukanuba, Iams and some even harder to find brands for pets that have special dietary needs or restrictions. The store also has many over the counter medications for Fido and all their health conditions. The Ark Pet Shop in northern Merriville, Indiana, has been Northwest Indiana and Chicago’s leading pet store since 1979. The store is family owned and operated and carry a wide variety of products, from fish supplies to dog food. The store is unlike any other in its presentation of product, from a museum-like tide pool to a display of exotic marine fish, as well as rare freshwater fish. They carry quality brands such as Wellness, Evo, California Naturals, Merrick, and so much more! Twisted Tailfins Aquatics is one of the largest saltwater fish stores in Indiana. The store is over 6,000 square-feet of space and carries over 8,000 gallons of saltwater and freshwater tanks and pools. Whether you are seasoned fish owner or completely new to the world of aquariums, Twisted Tailfins is the place to come. Trained employees will help you choose the best fish, supplies and aquarium to fit your needs. PetPeople is THE pet store for all natural pet food and high-quality supplies. PetPeople are unique in that they do not sell animals in their stores, and are committed to supporting local, non-profit animal related charities. 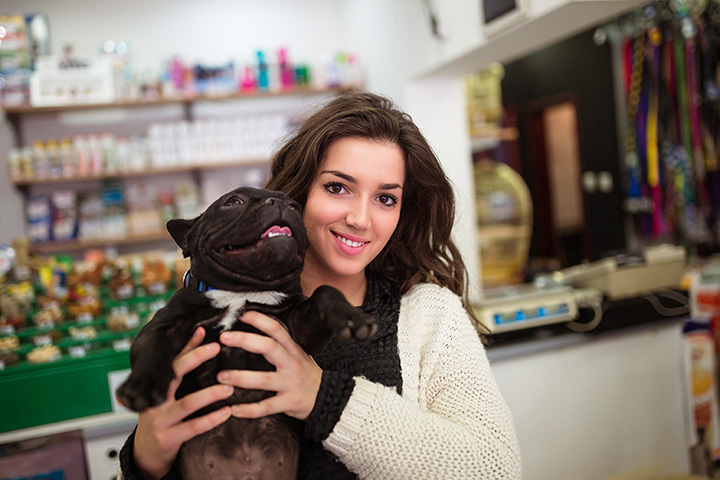 Building relationships within and with customers is important to PetPeople, as is carry the largest selections of all natural pet food and pet treats in Indiana. Find locations in Indianapolis, Carmel, and Greenwood. Rudy’s Critters in northern Peru, Indiana, has been locally owned and operated since 2009. They carry a wide variety of items for all the ‘exotic’ animal lovers out there—fish, rodents, birds and a separate reptile space for those who aren’t reptile fans. Rudy’s offers one on one service and many of their products are marked below wholesale price to give customers the best bang for their buck.